The INU is a high quality electric scooter from the electric mobility innovation company Green Ride™ from Israel. 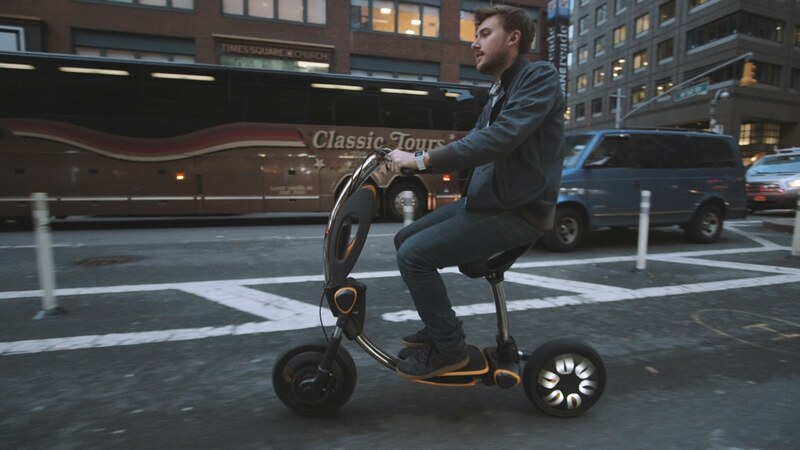 The scooter is designed for use in cities. 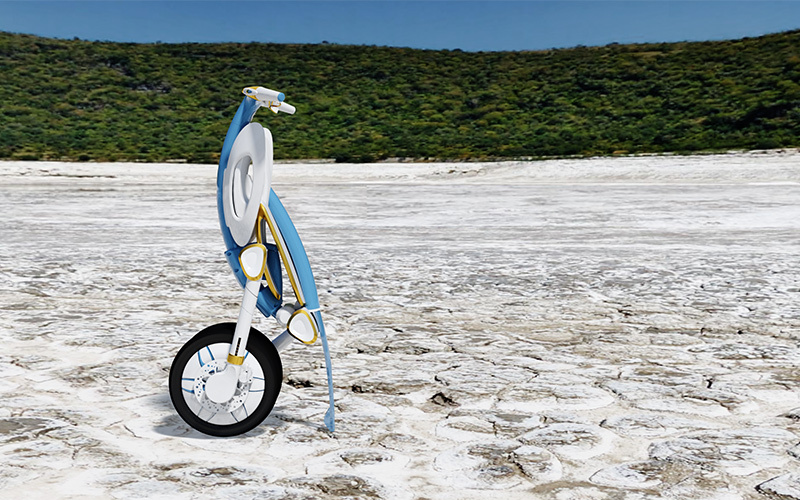 It looks futuristic and beautiful and it has many innovations for safety in city traffic. 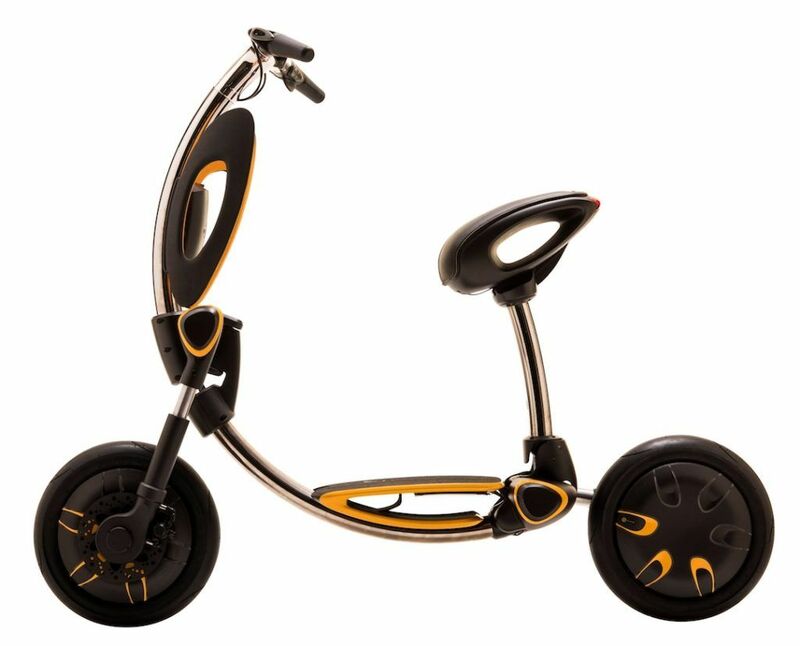 The scooter weighs 25kg and can be easily folded in a single move. In folded mode the scooter can be carried as a trolley. The scooter has a 11.6Ah Lithium battery from Panasonic that provides the scooter with a range of 40km. A full charge takes 3 hours and the battery can be charged for 80% in 1.5 hours. 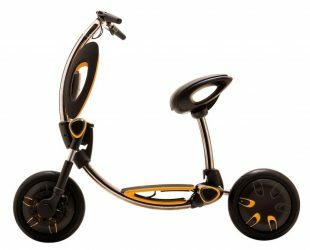 The scooter has a 750 watt electric motor and a top speed of 25 km/h. The rear wheel contains a LED lightning effect for increased visibility. 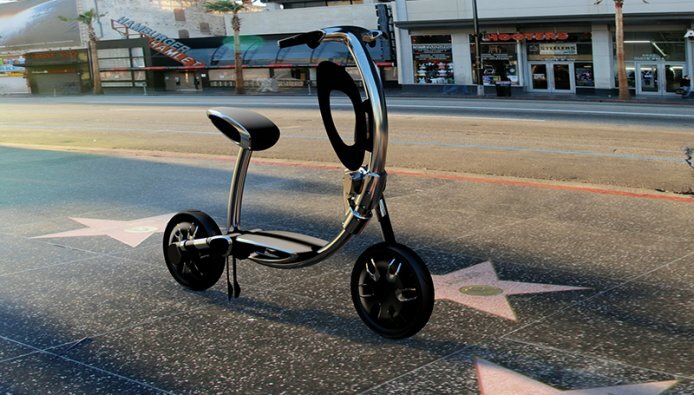 The scooter is a true smart scooter and is fully equipped with Bluetooth, Wi-Fi, cellular, and GPS connectivity. Its customizable platform allows to change entertainment, maintenance, security, and social communication functions. 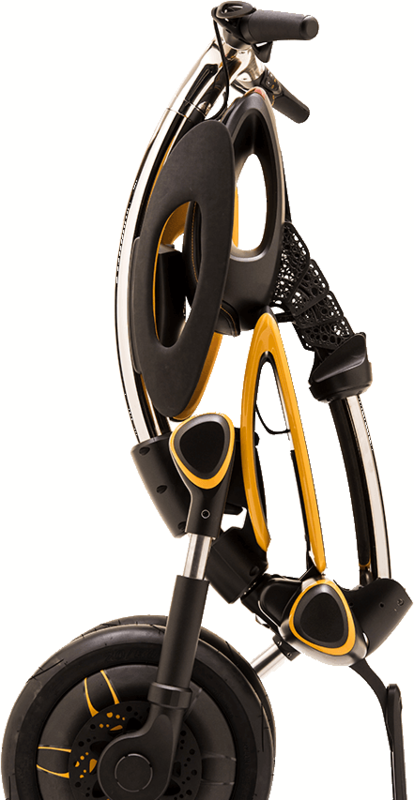 The scooter connects with a smart phone for access to scooter applications. 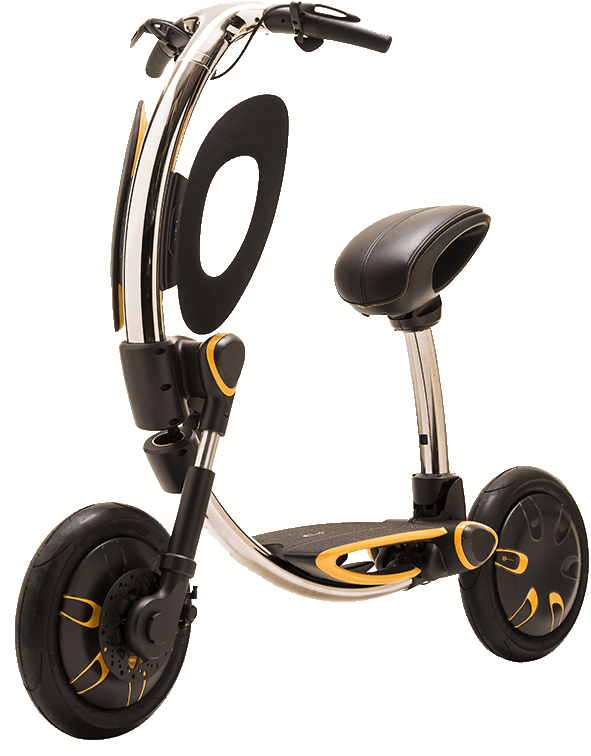 The scooter is certified for use in Europe and the US. The scooter can be ordered in many colors.